Over a century ago, the State Theatre brought movies to Front Street. Today, in our restored, historic, antique gem beats the heart of the TCFF. But since the State is one of only two existing year-round movie theaters in downtown Traverse City, many more must come alive each July for the festival. Out of necessity, we’ve built them, but we’d like to think that each theater has its own special character; unique spaces that infuse the films we show there with a little extra zest. Each venue is distinct, and like great character actors, each fleshes out the whole of the film-going experience. Grandview Pkwy. at Union St.
Open Space is one of Northern Michigan’s most beautiful public places, and the perfect outdoor park for listening to live music, eating delicious food, and watching the sunset and a great film on a giant 65-foot screen. Originally built in 1916, and restored with great care by Michael Moore and an army of volunteers, this 527-seat movie palace was named by the MPAA as the #1 movie theater in the world. We think it is the perfect place to see a film. Call the State Theatre Hotline at 231-947-4800 for showtimes, or visit the State Theatre website to purchase tickets and for complete information on what’s happening at the State all Year Long! 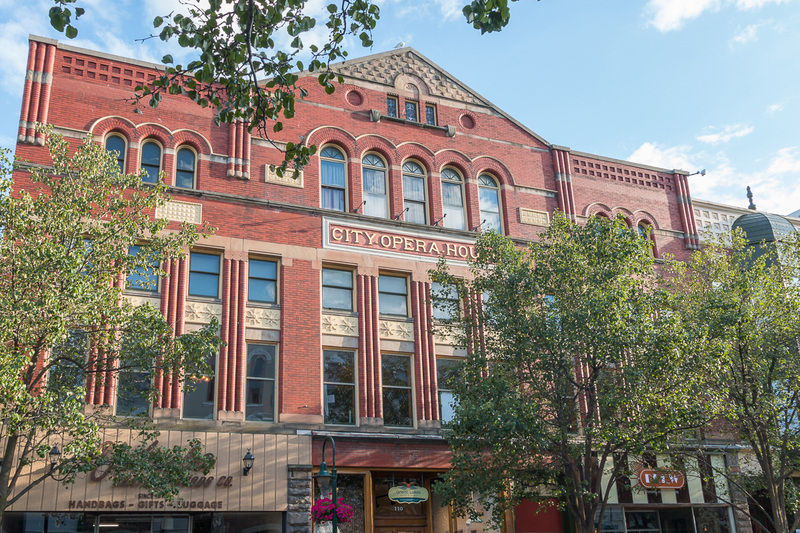 The beautifully restored City Opera House, constructed in 1891, features a grand entrance, balcony seating, and cupids on the ceiling. This stunning venue is the festival’s second largest, with 465 seats on the main floor and balcony. Learn more about the City Opera House here. Established in April 1960 to bring amateur theater to Northern Michigan, with 250 brand new, extremely comfortable State Theatre-style seats, the Playhouse is the festival’s most enveloping venue. Learn more about The Old Town Playhouse here. 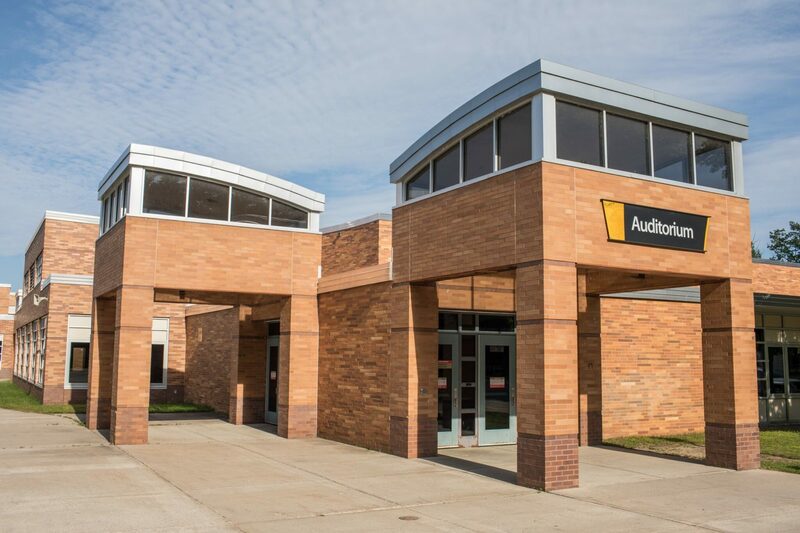 We’ve rebranded Lars Hockstad Auditorium at Central Grade School as The Kubrick! 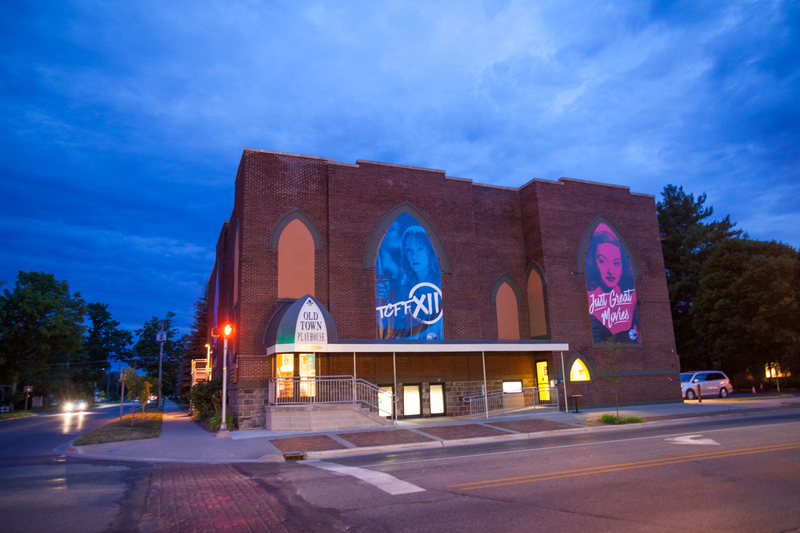 A year-round host to numerous professional and student stage productions and concerts for the Traverse City area, including the Traverse Symphony Orchestra and the annual Rotary Variety Show, it was constructed in 1922 and renovated by the community following a challenge grant from Michael Moore. With new, comfortable seats, The Kubrick is the festival’s largest indoor venue and a new favorite. A block away from its big sister, the State Theatre, the Bijou is a true gem of a place to watch a movie. 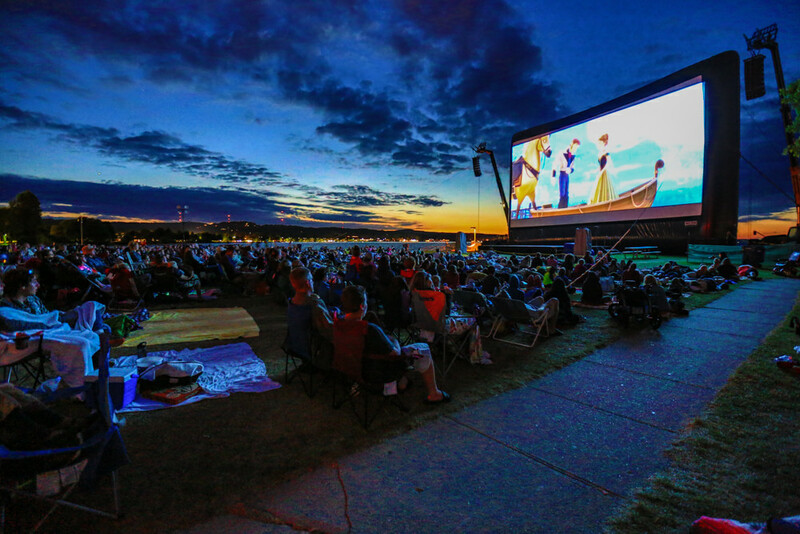 Nestled in Clinch Park on Grand Traverse Bay, this intimate venue seats 160 film lovers in relaxed comfort. Learn more about the Bijou by the Bay and what’s playing all year long here. The Michael and Barbara Dennos Museum Center, currently undergoing an exciting expansion, houses Milliken Auditorium, a sleek 367-seat venue featuring great sight lines, a huge screen, and incredible acoustics. Learn more about Milliken Auditorium here. NMC Scholar’s Hall – 1701 E. Front St. 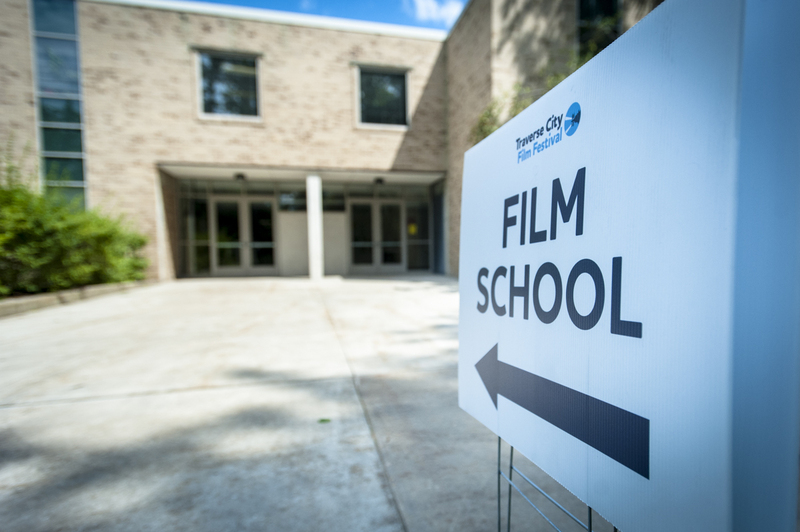 Mere steps away from Milliken Auditorium at NMC, our 118-seat film school brings together students of all ages and experiences who are eager to learn about the craft of filmmaking. If you have a specific accommodation request, including American Sign Language interpretation, please click here to contact us. Sign language interpreters are available for all panel discussions. Please submit requests 48 hours in advance so that we have ample time to schedule an interpreter. Please include the dates you plan to attend. We are committed to making screenings and festival events accessible to all attendees. We are continually looking for ways in which we may improve our services, and welcome your comments and questions. Please email Jim Moore for further information about these services at access@tcff.org. The Traverse City Film Festival follows regulations in the Americans with Disabilities Act and is committed to serving all people in our community. Accessible Seats for patrons with disabilities and their companions are reserved and available for purchase at each venue. Unsold Accessible Seats may be released to individuals without disabilities when general seating sells out. Wheelchair Accessible Seating is for patrons with disabilities who require space for a wheelchair. These seats provide WHEELCHAIR SPACE ONLY, not a physical seat. Easy Access/Mobility/Transfer Seating is for patrons with disabilities who need convenient in and out access to their seat. These seats have moveable armrests and are located on the aisle (Available at State Theatre, Lars Hockstad Auditorium, Old Town Playhouse, and Bijou by the Bay). At the City Opera House, any aisle seat can be made accessible. Companion Seating is for companions of patrons with disabilities who have tickets for Accessible Seats. Up to 3 adjacent companion seats are available for companions of people with tickets for Wheelchair Accessible seats. The box office at each venue and the Main Box Office are accessible. (The Old Town Playhouse box office is accessible by using the side entrance and elevator, but not easily.) Accessible Seat tickets may be purchased online, by phone, or in person. Purchased tickets may be picked up at the Main Box Office or at any venue during operating hours. Patrons with disabilities and their companions are encouraged to arrive early when attending movies. For further information or assistance with Accessible Seating please contact us. With specific questions, please call the TCFF Accessibility Office 231-922-0903, Monday-Friday 9am-5pm. Or you can reach out via email at access@tcff.org. For further information or assistance with Accessible Seating please call the TCFF Box Office Manager on Duty at 231-242-FILM (3456). All of the festival BATA Bayline shuttle buses are wheelchair accessible. 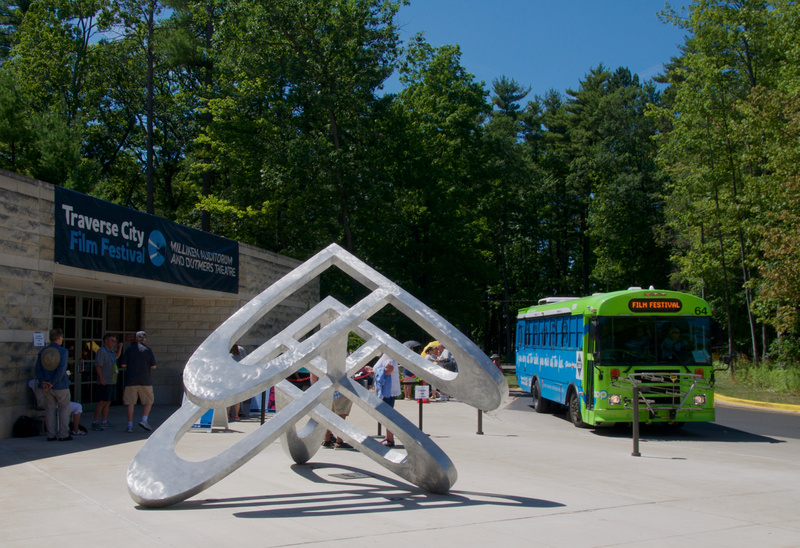 Patrons using the shuttle buses are encouraged to park in NMC’s Cherry Lot, near Milliken Auditorium, or at the Meijer Park-n-Ride (on US-31) where buses will stop every 12-15 minutes to pick up festival patrons and take them Downtown and the festival East Campus. The loop runs from 7 am until the last venue is dark each full day of the festival Wednesday through Sunday. For information specific to each venue, including assistive devices, parking, seating and wheelchair access information, please click here.